'BLACK COLLECTION' BLACK & SILVER' LEATHER/PU TRAINING GLOVES. 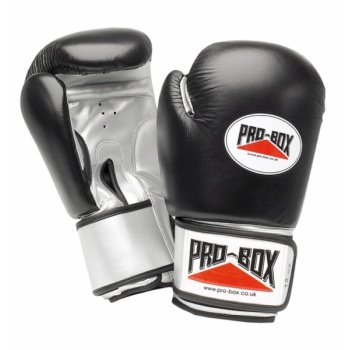 Leather training gloves with synthetic palm and moulded foam filling. Touch fastener/leather wrist strap. Ideal fitness club glove. Size: 12oz.